Dragonfly wisdom: Spend time near the water and appreciate long summer days! Enjoy a true weekend by checking in on Friday and miss all the traffic. 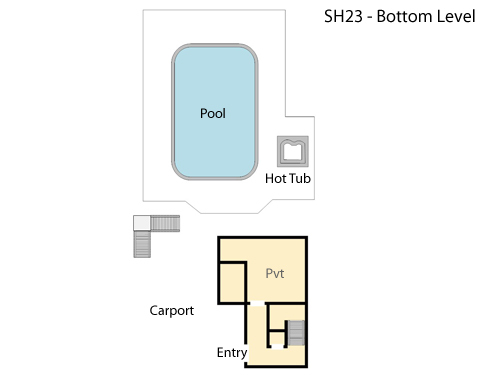 Relax in your own private secluded pool and hot tub. Decks on mid and top level offer plenty of seating in and out of the sun. Get your toes in the sand with a quick four minute walk to the beach. Our home is conveniently located 3 miles from the 158 Wright Memorial bridge in Southern Shores, NC. Once you cross the sound you will be at the front door in 10 minutes. No wasting your vacation in traffic. Dragonfly is located on the ocean side of Route 12 north and a quick safe 4 minute walk to the uncrowded beaches. No major highway to cross. Very private lot shaded by live oaks to keep you cool on those hot sunny days. If you wish to head into town for shopping or dining Duck is located only a few miles north, a very nice bike ride. Bring your water toys. We have access to marinas a couple miles away to the sound for boating, paddle boarding, crabbing and fishing. 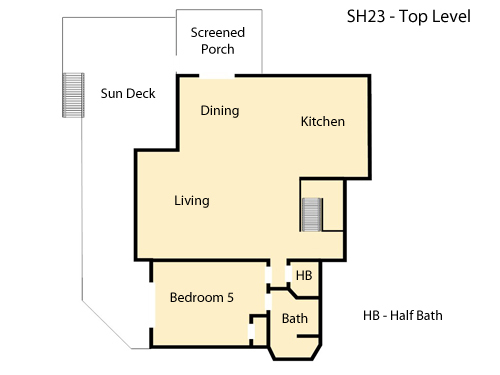 The top level has plenty of room for dining and entertaining, and a screened porch with a picnic table and gas grill and a master bedroom with deck access. 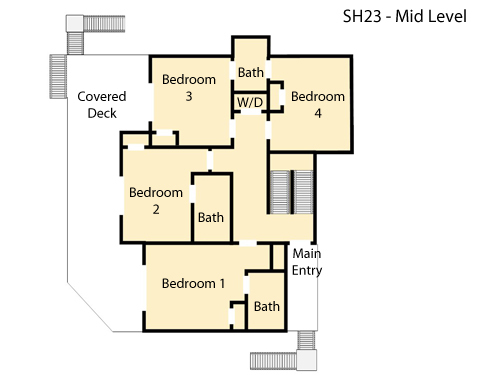 Mid-level has 4 bedrooms; two are masters with deck access. Community access to a tennis court, playground and boat ramp. WiFi is available so be sure to send all those great pictures and memories that you will be making at Dragonfly. No Smoking. Pet Friendly. Ask about our Military discount. The house was so great with a bathroom for every room. We had a rainy cold day with several kids and the DVD player was not working in one room and another was out of batteries so we could not turn it on. They came and replaced the DVD player and the house had spare batteries in the junk drawer so we were able to fix the other. There are lots of games to play and we had everything we needed. It would be super nice if they provided a wagon to take everything to the beach since it would be to big to bring but the beach is pretty close so very doable. I would go back to this house for sure. Thank you! We had a great time at Dragonfly. We booked it last minute after beach plans changed due to Hurricane Florence. The house is in a great location, very close to beach access and to Duck and Kitty Hawk. The pool and hot tub were fabulous. We had everything we needed, even a high chair for our baby! Thanks for sharing your beautiful home with us! Overall, the house was very lovely. We had a few issues with squeaky showers however it didnt stop us from enjoying ourselves. Linens provided were a bit old but that was easily fixed because we brought our own. Would definitely stay again at this property because of location and privacy.